Adding Call to Actions to your videos can boost your income. Advertise your own product or service, or sell advertising space to others. EZWebPlayer gives you several EZ ways to cash in on advertising. We’re in business to help YOUR business succeed. We aid your business goals two ways. First, by giving you premier video hosting and sharing services. Second, by making it easy for you to generate income by adding sales-generating video commercials and advertising to your online sales programs. Advertising generates income – it's that simple. Now it's EZ to add strong or subtle selling messages before or after your videos play. Change ads, change promotions whenever you like; add urgency with deadlines; rotate ads; read results – it's EZ! EZWebPlayer makes it easy for you to display a static image on any portion of your player screen – at the beginning or end of your video, halfway through, or during the entire video. Feature any image — your logo, promotional text, photos, any advertising image or message you want, any percentage of the screen from 1% up to 100%. 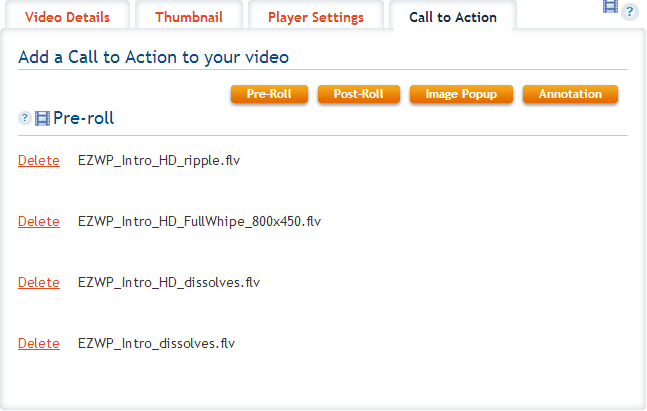 EZWebPlayer makes it simple to assign specific ads to specific videos. When you create channels (unique groups of videos) you can import advertising to ALL the videos in your channel…or to just SOME of them… or even just ONE video within your channel. One-click ad management gives you great flexibility and saves hundreds in labor costs. Your advertising arsenal may include video ads, on-screen text ads, call-to-action "bursts," and more. 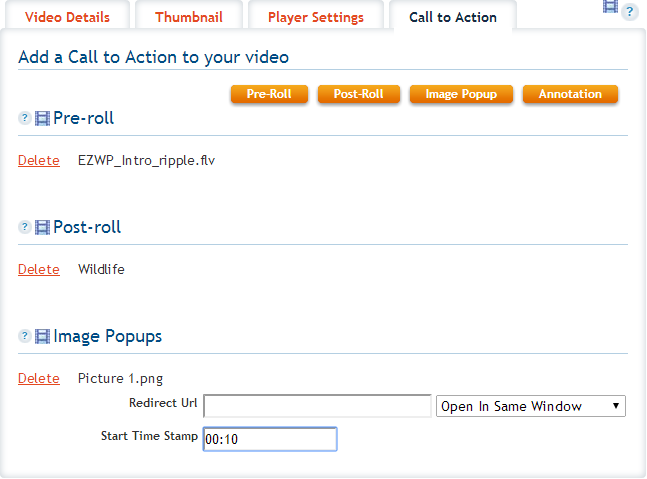 Right from your EZWebPlayer dashboard, you'll keep things fresh by putting your ads in "automatic rotation" just like pro advertising agencies do: each time a video plays, it displays a different ad. And, all of this is menu driven. No coding or complex configuring.